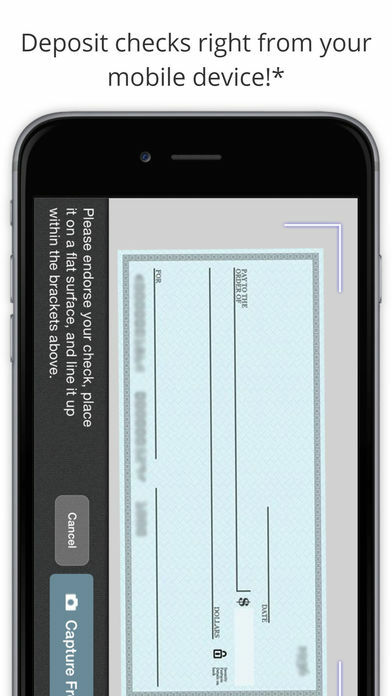 Bryant Bank Mobile gives you convenient, 24/7 access to your accounts anytime, anywhere. 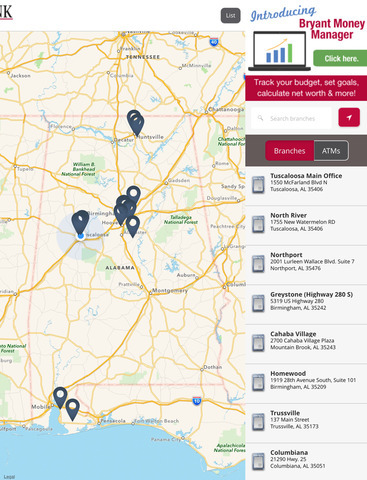 Check available balances and account activity, transfer funds, pay bills and people, deposit checks, send and receive messages, and find the nearest Bryant Bank location - all on your schedule, at your convenience. 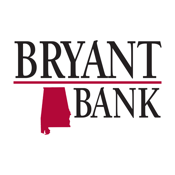 Bryant Bank Mobile is available to Bryant Bank Online customers. 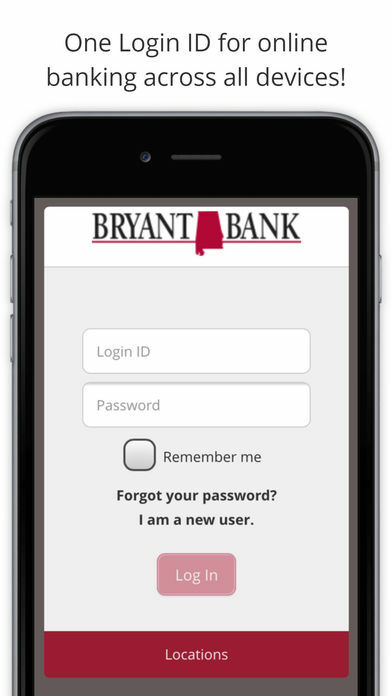 Accessing the app is easy - simply use the same user ID and password you've established for Bryant Bank Online. 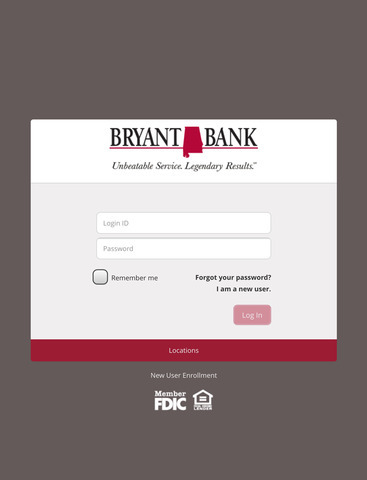 If you're a current Bryant Bank customer and haven't enrolled in Bryant Bank Online, please visit http://www.bryantbank.com/onlinebanking for instructions and more information. *All services subject to account eligibility and the terms and conditions of the Bryant Bank Internet Banking Agreement and all related account documentation. Deposit, transfer and transaction limits and other restrictions may apply. Normal text and data fees may apply through your wireless carrier. 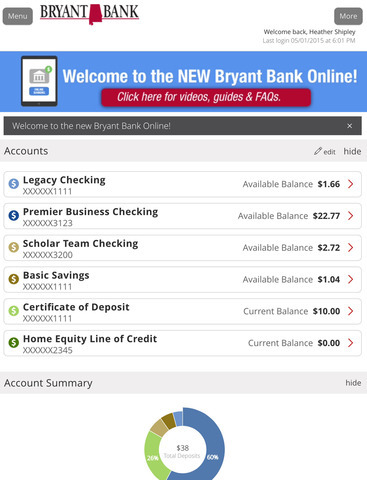 If you need assistance with Bryant Bank Mobile, please visit http://www.bryantbank.com/onlinebanking or contact mobilesupport@bryantbank.com. For security purposes, if you contact us by email, please do not include any confidential account or personal information. Bryant Bank. Member FDIC. Equal Housing Lender.